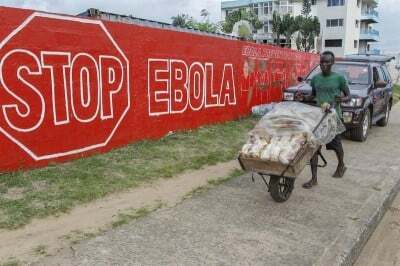 A special session at the 69th United Nations General Assembly discussed the spread of the Ebola Virus Disease (EVD) in several West African states. Numerous world leaders including the African Union (AU) Commission Chair Dr. Nkosazana Dlamini-Zuma and Director General of the World Health Organization (WHO) Margaret Chan spoke to the worsening crisis and the need for assistance from the international community to effectively address the burgeoning impact of the disease which has killed over 3,100 people since March. As an outcome of the meeting a United Nations Mission for Ebola Emergency Response (UNMEER) was initiated. The agency was set to establish an office in Accra, Ghana on Sept. 29 which is designed to coordinate relief and assistance programs aimed at the three most effected states Sierra Leone, Guinea-Conakry and Liberia. Cases of the disease have been reported in Senegal and Nigeria as well. Nonetheless, both governments of these states say that the Ebola outbreak is under control. Other infected persons were reported in the northern region of the Democratic Republic of Congo (DRC) although it was claimed that the outbreak there is unrelated to the strain of the virus that has spread so rapidly in West Africa. The address by Nkosazana-Dlamini, the AU Commission Chair, reported on efforts already underway to provide healthcare professionals and logistical support recognizing the humanitarian organizations such as Doctors Without Borders, the International Committee of the Red Cross, among others. She noted that an AU Ebola Outbreak in West Africa (AUEOWH) group had been established. Nonetheless, much more needs to be done to prevent the spread of the virus and to effectively treat the thousands who have already been infected. As a result of the high mortality rates among those infected, support services will be needed for the affected families where many children will be left as orphans. What is obvious about the spread of this disease is the lack of medical personnel and infrastructure in the impacted states. Both Liberia and Sierra Leone have undergone civil wars over the last two decades displacing millions and leaving tremendous social problems which the subsequent governments have not been able to effectively stem. Guinea, after breaking with French imperialism between 1958-1984 under the Democratic Party (PDG) led by President Ahmed Sekou Toure, fell victim to neo-colonialism after the death of its founder when a military coup placed the country back under the complete dominance of Paris and Washington. Periodic outbreaks of unrest and successive military coups have hampered the mineral-rich nation from providing resources aimed at building its internal infrastructure. Moreover, the AU Commission Chair stated clearly that the immediate crisis must be approached within the context of medium and long term objectives related to the necessity of developing African healthcare systems and research institutions. Methods for treatment and identifying trends within disease transmissions are essential in the fight to eradicate the outbreak. In a blog published by the Washington Post, Karen Attiah pointed out how no African physicians infected with Ebola have been evacuated for treatment to the United States. However, several white medical personnel were immediately sent back to the U.S. for treatment where all have recovered. Attiah stresses that these West African states are already suffering from huge shortages of medical personnel. The deaths and sickness of some of the leading physicians in Sierra Leone and Liberia is serving to worsen the overall crisis. “Very recently, Dr. Olivet Buck, a Sierra Leonean doctor, died after the World Health Organization denied a request that she be transported to Germany for treatment. In July, Dr. Sheik Humaar Khan, an eminent physician that headed up Sierra Leone’s Ebola response, died after negotiations for his evacuation,” Attiah said. In addition to these contradictions, complaints have already been leveled against western institutional responses to the crisis. “The U.S. Agency for International Development came under fire briefly after it was reported that the field hospital it was setting up in Monrovia (Liberia) was intended to treat only foreign workers. The agency now says that the facility will treat health workers of all nationalities,” Attiah noted. This same author called for the rejection of travel bans and other forms of isolation regarding the impacted West African states. The problem of the Ebola Virus Disease outbreak must be brought to the top of the agenda in the U.S. and other countries. Unless organizations concerned about the liberation and sovereignty of the oppressed former colonial states come to the fore with a program of action to address the crisis, the outcome will result in many more deaths. As with the HIV epidemics of the 1980s and 1990s, multi-national firms will attempt to profit from the medical disasters that primarily impact the working class, oppressed and poor of the world. The supply of protective gear, patents for medications and vaccines will provide the pharmaceutical firms with opportunities to reap billions in sales. This crisis must be approached from the perspective of the most impacted being those states in West Africa which have been the victims of centuries of slavery, colonialism and neo-colonialism. The genuine liberation of Africa is essential for eradication of infectious disease and the construction of adequate healthcare infrastructures in the immediate future.